[by Woorim Ahn] U-KISS started to disclose the members’ teaser cuts. 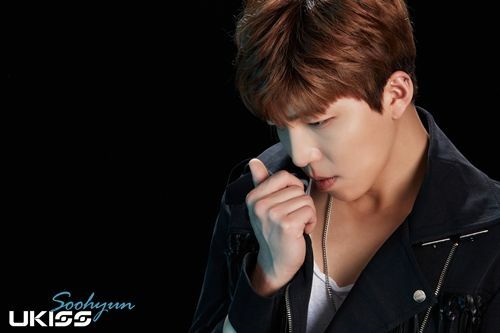 On May 24 at midnight, the group released Soohyun and Kisub’s teaser photos. In the pictures, Soohyun and Kisub changed to real men with more mature sides and aroused fans’ anticipations and interests in the new album. Previously, the group revealed its comeback schedule poster and individual teaser images will be available from May 24-26. On the following day, its new album cover photo will be disclosed and group teaser photo and music video teaser will be revealed on May 30 and 31, respectively. U-KISS proved its popularity as its albums were placed on high ranks of Oricon Chart. Not only in Japan, it also continues its fame in Europe, Latin America, Asia and others.